Our team would like to thank all of you who visited our booth SR-G1 at Dubai World Trade Center during 37th GITEX Technology Week to get informed about the latest news and updates on our systems! Your interest was really impressive and exceeded any expectation, and we promise to continue working on further upgrading our solutions such as to provide the best guard & lone worker tour monitoring systems worldwide! 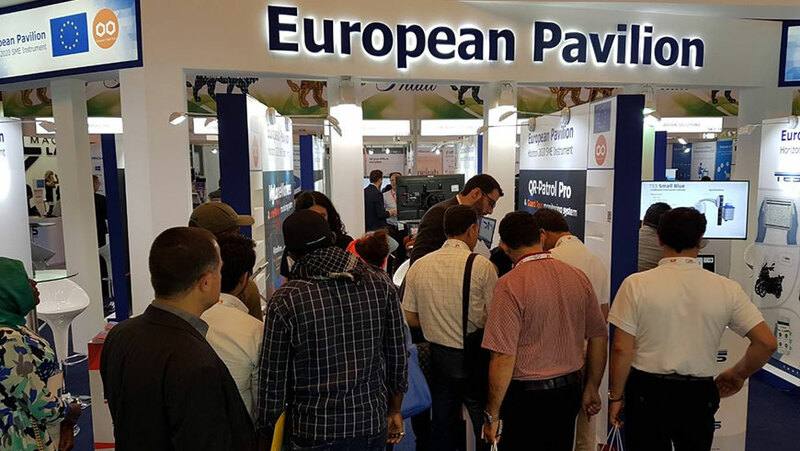 * Terracom is one out of fifteen companies that was selected by European Commission (EASME OTF) to participate in SME Instrument’s Overseas Trade Fairs Programme! QR-Patrol is the smartest real time on-line guard tour and patrol system helping companies and organizations worldwide monitor their guards' activities and upgrade their security status. Copyright 2014-2019 © Terracom Informatics Ltd. All Rights Reserved.